I think nowadays it is hard to impress our kids with any technologically advanced toys, but not for Spin Master toy team. Every year they bring fantastic tech toys to the market for everyone enjoy from young kids to adults. And this year is not an exception; we are very excited to introduce new Zoomer Dino, our family new prehistoric friend with real dinosaur movements, feelings and interactions. Zoomer Dino comes in a cool treasury chest, everyone around was so curious what was inside when it came. We like how smoothly Boomer roams around the house thanks to its sophisticated legs. Zoomer Dino can show up somewhere unexpectedly and sometimes scares me with its roar or pass by very fast touching us with its tail. Boomer can be cute, friendly but you can learn about its wild nature if try to pull its tail or push the angry button. If you wave your hand in front of Dino’s head, take a look at the tail, Dino will wiggle it like a puppy. Want to see Boomer chomping then push the teeth button. When Teddy saw Dino chomping he said that it wants to eat something. Oh, no, Dino is just trying to play with you. When we gather together and try to play with Zoomer Dino, it becomes a totally chaotic jumping and running circus, one moment I even questioned who controls the situation, we or Zoomer Dino. It is always so much fun. Teddy even wanted to take Zoomer Dino to our mini-trip to Niagara Falls. 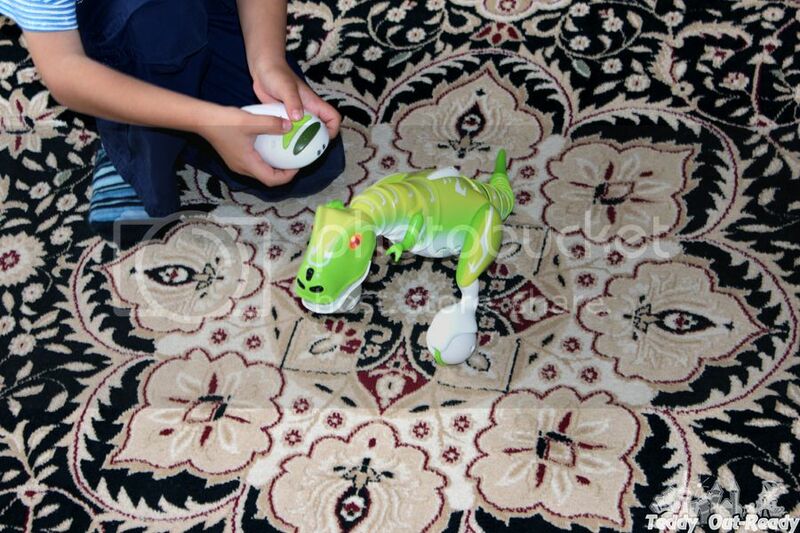 Zoomer Dino can be controlled remotely using a control pad, that’s how our adventures start. You can hide somewhere and forward Dino where you want. We often use Dino to steal the attention and invite to change the activities. Boomer’s flexibility and speed are impressive, it can sit, fell on its head, run very fast and everything can be controlled remotely. As for Dino’s pretty eyes, it can change them to reflect its mood from being lovely and curious to angry and playful. And finally, Teddy proudly added Zoomer Dino to his Toy Story cast to play Rex, he never had such an interactive dinosaur before. This is a sponsored conversation written by me on behalf of Zoomer. The opinions and text are all mine. This is so cool. My son would have loved this when he was little he was crazy about dinosaurs. That looks like a fun toy! I know that I would have loved one of those when I was a youngin! My seven year old son would love this toy. My son loves dinosaurs! He actually just had a dinosaur birthday party last month & said it was the best party ever. I just know that this would make his Christmas! That is so cute. I wonder if my kiddos would like this. Will have to put this on my holiday list. I love dinosaurs! This is so cool. I wish I had a niece or nephew to buy this for. Awww cutie!!!!!!! Baby boy is so cute and I love the toy! This is a really awesome toy. I think my kids would have a blast playing with it. My son would love this! 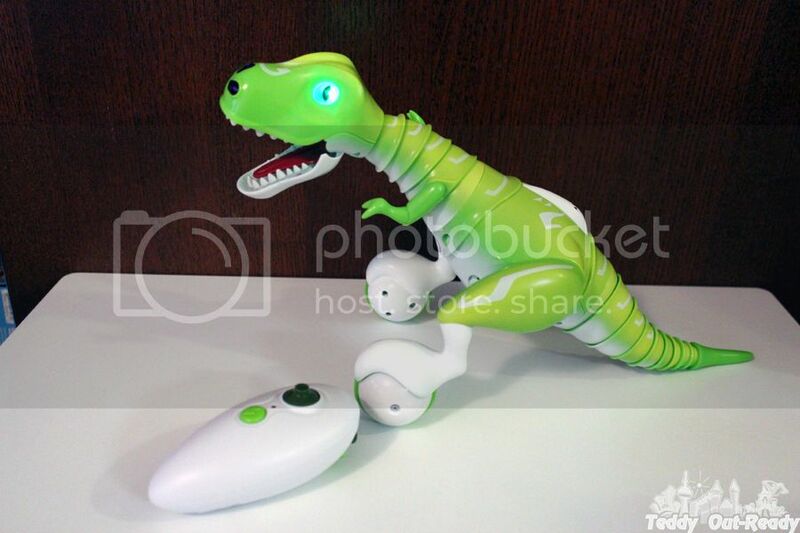 It's a combination--robot, dinosaur, remote control car…. what little boy wouldn't love that? That is awesome! So right up my boys alley! It is great that it is remote control! I love cute interactive toys. 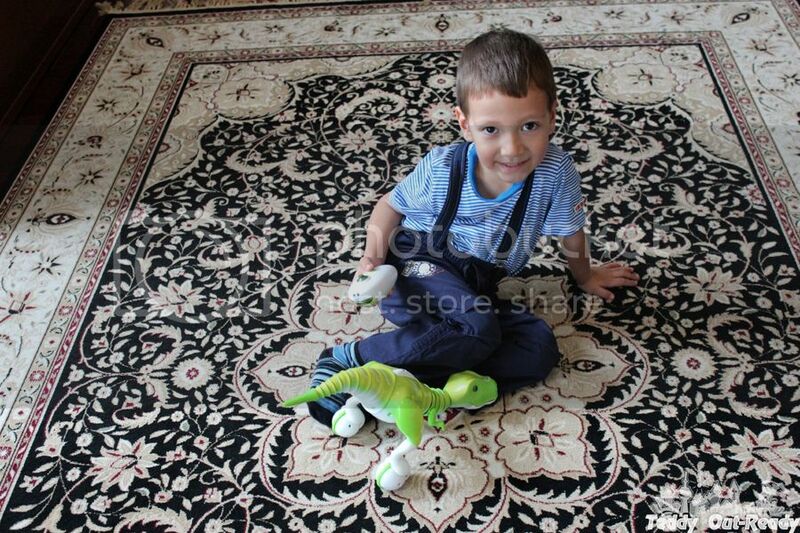 This is so cute and you son seems to love it. I'm glad he found a special place for it with his other toy friends. You have a very cute blog too. I love this product, my son's too old for it, but I know he would've love it 5 years ago. I love this dino robot. He is so cute. Not as cute as your son mind you but cute none the less. What a very cool toy! I know lots of kids who would love a remote controlled dinosaur! :) Perfect Christmas present!